Think back to your favorite Christmas memory. You were likely a small child. You can probably remember your excitement as the holiday quickly approached. The days leading up to Christmas Eve, you were on your best behavior (but had good reminders from your parents and teachers.) When December 24 finally arrived, you couldn’t wait to go to sleep that night. Your mom and dad likely helped you prepare for the evening with a fresh plate of cookies and a glass of milk. You brushed your teeth and quickly went to bed, but then spent most of the night watching the clock – just waiting for an appropriate time to wake up. Then on Christmas morning, you couldn’t believe your eyes as you found a Christmas tree full of presents replaced with an empty plate. You believed in the magic of Christmas. Sadly, things change as we grow older. Our excitement was instead replaced with stress and a To-Do list a mile long, and the spirit fades. Fortunately, the magic does reappear as we have children of our own, but our roles change – from excited child to excited parent. We also spend Christmas Eve, making preparations and not getting much shuteye because we too are eager to watch our children thrilled be opening our gifts. Then quietly smiling when they ask, “How did Santa know this is exactly what I wanted?” As parents, we come to discover a new kind of magic – the magic of giving. But as life continues on, the cycle continues. Our children grow up, and the spirit again slightly fades. Luckily, as supporters of Lions Pride, we have a unique role that allows us to play Santa all year long. How, you might ask? By giving special children all around the state of Wisconsin the gift of experience. 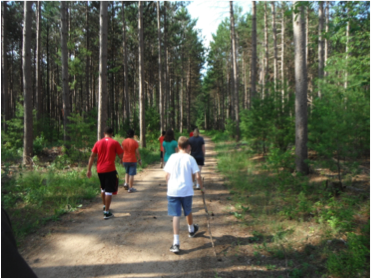 This year, over 150 children were given the opportunity to spend a week in the beautiful place known as the Wisconsin Lions Camp. During their week at camp, these kids have the chance for overnight camping, canoe and hiking trips, swimming, kayaking, paddle boating, archery, crafts, sports and more. All the while, they are also developing self-confidence, interdependence, social skills and outdoor recreational skills, at no cost to their families. This particular gift may not be beautifully wrapped under a bright, full Christmas tree, but we know in our hearts that it’s a gift that keeps on giving all year long because a child’s week at camp allows them the resources, skills and experiences that will serve them long beyond their childhoods. Of course, none of this would be possible without you, the help of our donors, the lifeblood of our organization. We never get tired of saying thank you for your ongoing support. Although our biological children may be grown, we look forward to playing the role of Santa for countless years to come. Thank you for helping us continue our mission to preserve, provide and protect Lions Camp and all other WLF statewide projects. The Lions Pride Office will be closed the week of December 24, to celebrate Christmas with our families. We’d like to wish you and yours a very Merry Christmas! Pack your bags, grab the sunscreen and let’s get ready to camp! We are officially less than ten days away from the start of the 2018 camping season at Wisconsin Lions Camp, and we couldn’t be more excited. For the past 60+ years, nearly 1300 campers with vision, hearing, mild cognitive disabilities and Type 1 and 2 diabetes travel to Rosholt for the adventure of a lifetime. During their week away, campers have the chance to create a comprehensive program built around their interests. Overnight camping, canoeing, hiking, swimming, sailing, kayaking, paddle boarding, archery and crafts make up the daily activities that take place at camp. The goals of camp are to assist each child in the areas of self-confidence, interdependence, environmental awareness, but above all, to have a fun, safe experience combined with camaraderie and friendship. What do our campers and Lions Pride have in common? We both look forward to the camping season all year long. Did you know that when the Wisconsin Lions Camp was first opened, it was funded primarily by Lions Club donations? In the last decade or so, however, expenses for camp and all other WLF statewide projects have increased drastically. Many might be surprised to learn that combatting rising costs was the primary reason for the birth of our organization. Read the whole story here. Today, the Wisconsin Lions Camp is one of the statewide WLF projects that receive financial support from the Lions Pride Endowment Fund. We’re proud to work alongside both donors to help create lifetime camp experiences for both now and future generations. We sincerely appreciate your support as we continue on to preserve, protect and provide. The countdown is on! T-9 days until the official start of Wisconsin deer gun hunting season. If you’re like more than 600,000 hunters all over the state, you are likely anxiously awaiting the arrival of next Friday morning. You’ve been diligently studying your trail cam images, already cleared your travel path and prepared your stand for a weekend in the great outdoors. You’ve been dreaming about hanging a set of beautiful antlers and a fridge full of venison to get you through the long winter, but have you thought about what you’ll do with your hide? Again, like many other Wisconsin hunters, we hope you’ll consider donating your hide to Wisconsin Lions to help send a child to camp. Each deer-hunting season since 1991, Lions Club volunteers have set up collection sites all over the state. What started as a relatively small operation has grown immensely over the past couple decades. Today, there are over 175 collection sites from Ashland all the way down to Beloit. In recent years, the deer hide collection has raised anywhere from $75,000 to $95,000 for the Wisconsin Lions Camp. Donating is simple! Just bring your hide to a drop-off location near you. The hide will then be salted, preserved and eventually sold. Every hide donated will help send a child with special needs to camp. Each year, we are proud to help send over one hundred children to camp, where they get the opportunity for learning, hiking, swimming, boating, crafting and so much more. With 440 acres of land and a 45-acre private lake, there is no shortage of fun. The goals of Lions Camp are to assist each child in the development of self-confidence, interdependence, social skills, outdoor recreational skills and environmental awareness; but most importantly, for the child to have a fun, safe, memorable experience. Give back this hunting season by donating your hide to Wisconsin Lions Camp. From all of us at Lions Pride, thank you for continued support over the years, and good luck to all hunters! Tomorrow marks the 45th anniversary of Earth Day. In 1970, John McConnell, the founder of Earth Day, decided that earthlings needed a day to celebrate the planet’s life and beauty. We couldn’t agree more. Although it may not be initially obvious, Lions Pride is a big supporter of Earth Day, but maybe not on the official holiday. As we’re sure you already know, we work very closely with the Wisconsin Lions Camp. Each year with the help of our donors, in 2014 we were able to bring over 100 children with special needs from around the state to Lions Camp in Rosholt for a week of fun as the fund grows that number will increase each year. The campers are able to experience the great outdoors at its finest. 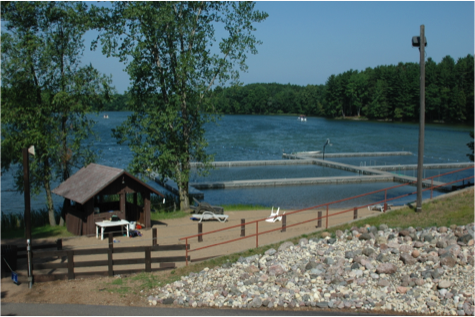 Their days are filled with swimming and boating on Lions Lake, aiming for the bull’s-eye in the archery range, spending time near the tops of trees on the climbing tower, zipping down the zip line, creating artistic masterpieces to take home and exploring the nature center. 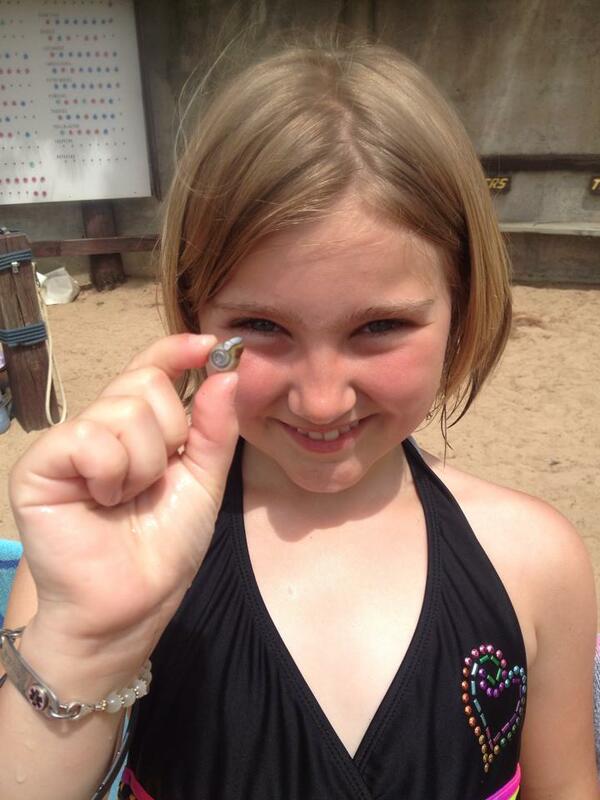 We hope the children take home a new appreciation of our natural world and it influences the choices that they make. For instance, we hope that on a crisp, fall day that they choose to rake up a big pile of leaves to jump into rather than stay inside playing video games or in the spring we hope they will choose to help Mom or Dad plant vegetables in the garden rather than watching television. Our world is an amazing gift and Earth Day reminds us to cherish the gift that is our world. How will you choose to celebrate the beauty of our planet? It is officially Day 5 of Summer 2014, has the phrase, “I’m bored!” been uttered from the mouths of your kids or grandkids yet? Although summer is the season many people, especially children, look forward to, it’s surprising boredom often rears its ugly head. Summer is supposed to be the time of year when we are able to step away from our usual busy lives and unwind for a couple of months. But now, back to the main question, how can you beat summertime boredom? Lions Pride has come up with a list of things to do with the restless kids in your life. With the endless supply of video games and hundreds of channels on television, it seems like there would be no reason to go outside. Re-introduce the games that you grew up with such as tag, frisbee and hopscotch. Visit this website to find games you may have even forgotten all about. A trip out of town for even just an afternoon can be a great mini-vacation for everyone. The best part is you don’t even have to go far. There are plenty of things to do in our great State. Click here to find a link to events and attractions. Find a nearby county park by clicking here and you’ll be on your way in no time at all. Many have hiking, swimming, biking and other activities; you never know what you might find. Pack a picnic lunch and you’re sure to have a day of fun. Don’t forget the sunscreen! June, July and August seem to be the months where there is always something happening. Look to the bulletin boards at coffee shops, restaurants, movie theaters and bowling alleys to find events happening in and around the city. There’s no better time to lend a helping hand than this time of year. Many organizations host special events or fundraisers in the summer months. Check your favorite charity’s website or call their office to see if there are any volunteer opportunities available. You can check out a list of what your local Lion and Lioness Clubs are doing by clicking here. This idea has more than one benefit; not only are you helping an organization in need, but you are also showing your children/grandchildren how good it feels to help others. It’s hard to be bored when you are busy. Remember summer is fleeting and ends all too soon, take time to enjoy it. Before you know it, school will be back in session! What ideas do you have to stop summertime boredom? Share your ideas in the comment section below.